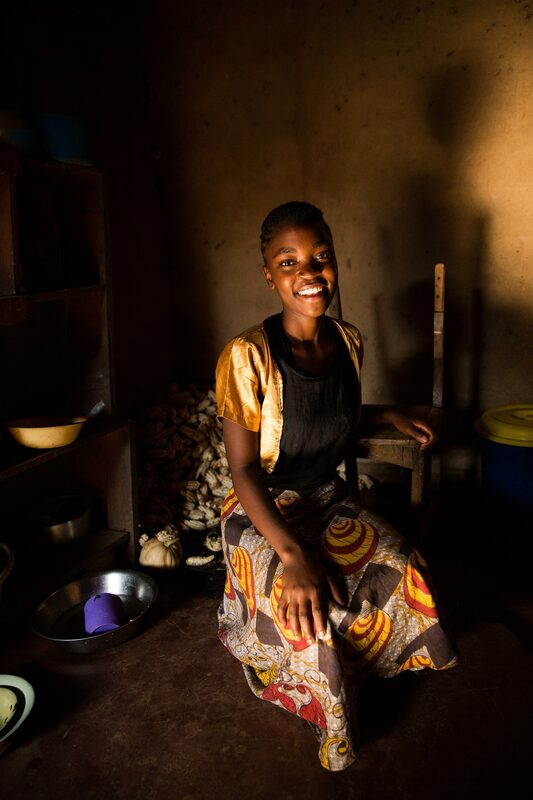 “Before… I was laughed at by the boys – even ones who are friends,” said Vast Chingwalu (17) when I chatted to her at her village where she and her family were dehusking corn, which is in season. As a result of the teazing she missed several days of school a month. Now, after becoming part of Action Aid’s program, she’s back at school all month. “These pads make a huge difference – I can even play netball and am able to stand in class with confidence!” she says. Despite the confidence the pads give Vast – she still believes the local area myths around her time of the month. Part of her education about periods, as passed on to her by her mother, and a group of ladies from the community, included being told not to cook using salt during her period. Doing so would result in, among other things, the recipient’s teeth falling out.